As a French language teacher I am always looking for ways to better engage my students with the language and support their learning needs. And as I work in a British university in China, teaching French to students from all over the world, using English as the instruction language, it can be a challenge to find an approach that appeals to all. One thing my students do have in common is the internet and their ability to use it effectively. And as language teachers we should be harnessing this ‘Generation Y’s’ digital know-how. The internet is changing how young people learn. Young people today, for the most part, are more tech-savvy than they have ever been. They are actively involved in the internet’s participatory cultures like joining online communities, producing new forms of creative work such as video or digital sampling, working in teams to complete tasks and develop new knowledge, and shaping the flow of information by creating blogs or podcasting. Being literate today doesn’t just mean knowing how to read and write on paper, but knowing how to read and write across multiple media platforms – books, videos, social networks, blogs, text messages etc. And being fluent in another language also means being able to navigate, and contribute to, these platforms. How can these skills help us teach young people languages? Alongside my teaching, I have conducted research into how the internet’s participatory culture can be used in student-centred learning environments and found that transmedia storytelling – telling a story across multiple media – can be an extremely effective method of teaching. My research involved asking students to create multiple media products to investigate, and help others learn, lexical and grammatical teaching points in French, Japanese and English. Once they had created their products, the groups then commented on others’ products using Virtual Learning Environments (VLEs) and blogs moderated by their tutors. They used these comments to improve their own products and to practice writing and reading in the respective languages. The results showed that the students were able to create sophisticated media products ranging from multi-genre films to remixed songs and computer games, and that from the comments posted on the blogs, and elicited after the project, they had fun while also improving a number of important key competences that are often outside the domain of language learning. I found that if well moderated, transmedia storytelling can provide students the opportunity to engage in projects that tap into their own experiences of social networking and digital creation. The key to this, of course, is ensuring language teachers have the knowledge necessary to create these kinds of learning environments. I recently shared the findings of my research, and trained secondary school teachers to use transmedia storytelling, at the V International Convention of Reading and Writing in Bogota, Colombia, which explored new ways of language teaching. I found that the teachers who attended the conference from all over the world were keen to explore teaching methods that ensure the language skills young people are developing are relevant to them in the real and online worlds. Meanwhile, my colleagues in the Language Centre at The University of Nottingham Ningbo China are engaged in research and course development that investigate new ways of using technology to enhance learning. It is really through our own continual learning, and sharing of knowledge, that we can hope to teach young people the language skills that will help them navigate the online world and achieve true digital literacy. From 2008 to 2011, I studied English Literature at the University of East Anglia, an establishment with more than 3,500 international students (or a third of the 2012-13 in take). In the three years I spent there, I met and made friends with students from California, Thailand and Nigeria; Russia, Australia and Malawi; Pakistan, Belgium and Tanzania. In my first year, I lived on campus in the architectural rarity that is the UEA Ziggurats. My room was small but perfectly formed and I delighted in the rare personal freedom that I was allowed there. Sandwiched by Jao from Portugal, Stacey from Boston – and with Maiko from Japan just down the hall – students from all over the world lived together under one roof. Above, below and side-by-side, one of the most poignant aspects of this multicultural cohabitation was that everyone was in the same position, on the threshold of a new chapter in life without the apparent prejudices or inequalities of their respective ethnicities. Housed inside our little concrete boxes of opportunity, we took to the task of education like a pack of hungry wolves. My hallmates and I regularly ate together, taking it in turns to stage themed nights. It was the first time I ate real sushi and the last time I drank copious amounts of Sake. Not since that year have I eaten such a diverse (and boozy) parade of foodstuffs. As a domestic student, it was a truly multicultural experience and to this day, I have strong connections with people in countries I’ve never been to. Thanks to the wonders of the web, I’ve been able to nurture these friendships and this has inadvertently created cornerstones in a world that I’ve barely started exploring. Before going to university, my experience of other cultures was limited. Everyone at my state school was born and raised in our home town and aside from holidays to over-populated resorts in Europe (where you’re much more likely to bump into a fellow Brit than a local) I’d never had much contact with “international” people. As such, university taught me important lessons about ethnicity and culture, in that no matter where you’re from, when you’re put into a nurturing learning environment with like-minded people, you’re sure to blossom. Despite this fortuitous discovery, it has recently been announced that in 2012, there was a 22 per cent drop in the number of foreign students studying in the UK. Following a tightening of VISA controls and a politicised crack down on immigration, official figures showed that in 2012 a net total of 153,000 migrant students came to the UK (down from 242,000 in 2011). This news came as a shock to me. International students were paramount to my university experience – offering as much of an education as my actual degree, if not more. And yet despite the many opportunities available for international students in the UK, not to mention the hugely beneficial impact they have on the economy, David Cameron has decided to strengthen his policies against them. Oddly, the umbrella term “immigrant” still refers to international students – even though most of the EU does not recognise or practise this categorisation. Let’s not forget that international students have to pay through the nose for their degrees, sometimes as much as three times the price of domestic students. You’d think that at a time of extreme economic fragility the prime minister would want to encourage one of the country’s most lucrative exports rather than making potential pound signs feel unwelcome. That’s not the half of it. A report by Oxford Economics estimated that the GDP generated by international students at the University of Exeter directly supports 2,480 jobs in the city. And above all else, international students play a vital role in academic research labs, particularly in science, engineering and maths – accounting for around 45% of the UK’s postgraduate students. These bright young things are willingly committing their lives to crucial research and yet UK politicians are trying to discourage them? It doesn’t make sense on any level. We must not discredit just how valuable immigrants and international students are. They provide a context and a deeper understanding of what is an increasingly multicultural country. To deny that is to pull the wool over your own eyes. Multiculturalism should be embraced and celebrated, not chastised. By opening our minds and our communities to the culture of others, we are given a greater understanding of what it means to be human. Emily Buchanan is a professional writer living in Norwich, UK. She’s passionate about the environment, education and human rights – subjects you’ll mostly find her writing/ranting about. Follow Emily on Twitter for the latest. When the latest South African high school graduation exams results were announced in January of this year amid a furore of expert criticism, I felt I’d made the right decision in moving my daughter into an international education system. As a teacher myself, I have witnessed what many believe to be falling standards in education and the challenges this brings to students in their first year at university. A low pass rate for the graduation exam means that many students qualify to go onto university but discover when they get there, that they do not have the right skills to cope at that higher level. It is a real issue in this country that of every 1,000 children who start out in grade one in national education, only around five make it through tertiary education. I’m fortunate that in my professional career I was introduced to the educational route that is also proving successful for my daughter. I started my career in government schools, but my teaching style didn’t always suit the official style. A school which offers qualifications from Cambridge International Examinations opened in my local area in 1999 and it didn’t take me long to realise that this was a syllabus I wanted to teach. My friends teaching at the College persuaded me to join the team in 2001 and it was the best decision I have ever made for my career. The qualifications suit my teaching style and I thoroughly enjoy the freedom of being able to develop my students and their attributes and interests as part of a bigger picture. As my daughter approached high school age, she was also increasingly looking for a school environment which would give her more freedom, encourage creativity and prepare her well for university. With this in mind, in her grade 8 year, we enrolled my daughter at the school where I teach – Ridgeway College in Louis Trichardt, Limpopo Province. In recent years, she has studied a number of international qualifications, first Cambridge IGCSE and now Cambridge International AS Level. The benefits of these international qualifications are manifold. Cambridge qualifications are recognised by universities all over the world – they provide students with skills they need to flourish in tertiary education. Locally, our universities are also becoming increasingly aware of the exceptionally high standard of education that Cambridge students enter into university with. Students are equipped with universal thinking skills, an analytical perspective and an ability to adapt to any change in their environment. They are taught communication skills, self-discipline, independent thinking and the ability to work on their own as well as a level of confidence that makes them stand head and shoulders above their peers in other systems. Furthermore, international qualifications prepare young people for the world at large, above and beyond university. I feel my daughter has been provided with a holistic, flexible education that enables her to cope in a workplace that – in today’s world – is fast moving and ever changing. She’ll be able to cope with new situations and be able to face challenges and move beyond her comfort zone. What’s more, emigration is definitely featuring more strongly in young people’s future plans than ever. By providing our children with the opportunity to do an international education, we are enabling them to have a wider choice for career options or studying overseas. I feel certain that my daughter is much better prepared than her peers to cope with the ever-increasing demands of the outside world, because she has a set of skills that makes her adaptable and able to cope with pressure and large volumes of work. Her level of confidence has shot up as she has been given the skills to communicate, to analyse and to problem solve in every aspect of her academic and personal, life. I fully believe that our choice of qualifications have helped my daughter work towards achieving her long-held career dream of becoming an Air Traffic Controller. In Grade 10, she completed work experience at the Air Force Base, coming home at the end of the first day having memorized the call signs of the fighter aircraft pilots, and being able to read and interpret both the weather station’s data and the radar system. She received a glowing appraisal for her confidence and her ability to analyse, interpret and apply information totally new to her. As a teacher, I’ve witnessed how an international education can steer a student towards success but it’s really as a mother that I have experienced the full impact of these qualifications on all aspects of a young person’s life and I look forward to watching my daughter continue to reap the benefits for many years to come. During an economic crisis, resources (books, budgets, infrastructure) are limited but high standards and qualifications are required so that learners can survive on the job market. Can the use of technology help learners and teachers overcome this problem? If so, how? Why not try the Extremely Short Story Competition (ESSC) for a fun, free, online writing activity for your students? The project is the brainchild of Peter Hassall a professor at Zayed University Dubai who has run the competition for several years. Language students have to write a short story on any topic they like in exactly 50 words and enter it on the ESSC administrative website. They can add a title which is not included in the 50 words and even a visual, if they wish, but it must be the exact number of words. The competition is free and students can enter as many stories as they like, but they must undertake that the work they enter is their own without help from anybody else. The competition can be run through language schools who have to find prizes and arrange a prize-winning ceremony, but that offers great scope for publicity, coverage by local media, and exhibitions of students’ work. Basically the administration (processing, editing, judging by an international panel of judges) is taken over by the website which relieves the teachers of any work: all they have to do is encourage students to write in English. The ESSC can be done as a class activity or done privately at home, especially where students get enthusiastic about expressing their thoughts in the target language on any topic. There are a lot of exercises available too to help language teachers make use of the activity. The material on the website www.zu.ac.ae/facets shows where this writing activity originates. It is also the best website for seeing the potential of the project. The Facets material (in fact an anthology of short stories produced with sponsorship as a result of a recent run of the competition) shows the use of nicknames to provide anonymity so entrants can express themselves freely, a feature that is important in the Arab World, as many of the writers are female. As an international project, the ESSC has also been run for several years in Japan with high school students. With translation of the short stories, there is a rich source of teaching material as well as displayable material to show how good the students are. So why not try the ESSC for your language students? For more information, contact pjhassall@gmail.com or kcollins@wanadoo.fr if you want to give it a try. After teaching in Saudi Arabia, UK, and Singapore, Ken Collins acquired extensive ESOL teaching experience. The last part of his working career was in Dubai where he eventually became Head of the Centre for ESL at the University of Dubai until 2007. He was also Middle East consultant for EAQUALS (Evaluation & Accreditation of Quality Language Services). 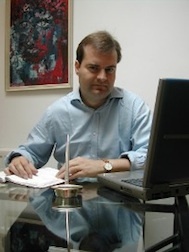 He now is Project Co-ordinator for the Extremely Short Story Competition in Europe and resides in Southwest France. It was only five years ago that I was teaching English in South Italy using a blackboard and chalk. I never used to wear black to school; to do so would mean to go home covered in patches of white powder. It was quite a luxury to start teaching in London with a white-board and dry-erase pens; so you can imagine my amazement the first time I encountered an interactive whiteboard. As I sat watching the demonstration, the colours; the lights; the sounds; things whizzing around the board, I thought to myself, “I’ll never be able to do that”. On the contrary, after I had used an IWB a couple of times, I wondered how I had ever lived without it. The chalk days seemed like a hundred years ago. Nowadays, in my classroom, the IWB is always switched on. That doesn’t mean it’s always the focus of the action, but it does mean I can use it any time I need to show a visual. Finally – no more need for my infantile, unrecognisable drawings of vegetables (have you any idea how hard it is to draw “aubergine” with chalk? ), thanks to Google images. I am also a big fan of the timer on teachitworld.com, the phonetic chart at teachingenglish.org.uk, and looking at new language in context at corpus.byu.edu. Is it too obvious to mention YouTube and the limitless language one short video clip can generate? As Director of Studies at Twin English Language Centre in South East London, I set out on a mission to introduce IWBs into our classrooms. It wasn’t at all easy. Firstly, I had to persuade the Finance Director that this was an investment worth making. Secondly, there were choices to be made; interactive projectors or interactive whiteboards, Smart board; Promethean; Epson; or other, which classrooms to start with, which wall to put it on… the list goes on. Thirdly, the teachers had to be trained, and, in some cases, persuaded to incorporate the technology into their lessons. The variety of reactions to the IWBs was fascinating. In a recent lesson on inventions, I asked students to identify in what ways the classroom would have been different ten years ago. They immediately identified the IWB as a recent addition. I am increasingly realising that our students are “digital natives” while we, the older generation of EFL teachers and managers, are “digital immigrants”. For our students, technology isn’t something to be evaluated and appraised; it’s the way they live their lives, they don’t know any different. For us, it’s something we need to fast come to grips with if we want to continue to engage, motivate, and indeed, teach our students. Sarah Morse is the Principal of Twin English Centres’ English school in London, UK. ￼The number of results a Google map search for ‘colleges in London’ pulls up today could easily be mistaken for a coffee shop search. I suspect that a similar search in 2030 will look very different! Technology has disrupted traditional business models across a range of industries; music and publishing being notable examples. It is going to do the same to education over the next two decades. The social, cultural, economic and political impact of such an event would be significant, to say the least. We are living in an age where what worked in the past is increasingly losing its relevance in creating our future. So is the idea of a 3-year degree being relevant to a career spanning decades. As a result the furrows of education as we know are bound to turn into broad learning fields. Learning (not necessarily education) will become a continuous part of our lives, consumed in smaller bytes – based on virtual ￼interaction and available on-demand. Credit ‘accumulation’ from multiple institutions over a prolonged period of time is expected to be the norm in attaining a qualification with face-to-face pedagogical experience becoming a premium feature and largely restricted to facilitating interaction and discussion. The increasing reliance on technology will continue to blur geographical boundaries giving learners greater choice and flexibility in what they study and from whom. This is bound to foster fiercer competition and increased level of collaboration between HE institutions, which bodes well for the student of the future. Pricing models too will reflect the very digital nature of learning; micro-priced but with large amounts of content available for free. In real terms, the cost of learning will reduce as technology gets better entrenched. Massive Open Online Courses (MOOCs) are already paving the way towards this new future with free course delivery. Although there are reservations about their business case and effectiveness as a learning tool, MOOCs such as Coursera and edX have helped online learning break into its next level of development.There is an argument that technology will never be able to replace face-to-face interaction. Yes, it may not for this generation. However, for the learner of 2030, born into a world of tablets computers, more adept at operating a touch screen than a pencil, technology will be second nature. Social media addicts amongst us are already experiencing the digitization of interaction with our friends and family, once considered to be impervious to technological advances. Words such as education, learning and interaction will have a very different context to what it is today. The UK Higher Education sector will need to adapt and fast to respond to the demands of the learner of 2030, who will expect the best, delivered in a manner and at a time of choice. Technology will play a key role in enabling ingenious partnerships between institutions and a differentiated learning experience. Some of the Ivy Leagues have already made a head start in this direction, with offerings such as MOOCs, ￼spreading their sphere of reach wider and making it more accessible. They have, in a way, started to define this new future. For others, standing still is just not an option anymore. UK institutions that fail to embrace this technology-led future of education risk the same fate as the now long gone manufacturing bastions of England. This metamorphosis in education will also create a level playing field for those institutions that do participate. What they do next will be decisive if they want to survive and compete in the digital future of 2030. Education providers on both sides must start to look beyond the often problematic and rarely successful traditional bricks and mortar approach. HE managers in India need to embrace technology for the power it holds in transforming the sector struggling to cope with high demand and low quality of education. UK institutions on the other hand need to understand the complex and sometime counter intuitive social-economic-technological nuances of India – a country that leaped a generation in technology adoption is most likely to do so in education too. UK institutions would be well advised to start preparing for this leap. India could very well be the catalyst that leads the UK into the digital era of education. Each year, the number of students exiting a four-year university has been on the rise. As more college graduates make their way into corporate America, employers are faced with choosing from a larger applicant pool. The number of job candidates vying for the same position can often be a discouraging realization for someone who is fresh out of college. Because of this, an increased number of graduates are turning to other options as a means of either bolstering their resume for future work or finding employment elsewhere while they wait for the economy to straighten itself out. In the last three years, many recruiting companies that specialize in placing teachers overseas have seen an increased number of applicants, some even reporting growth of more than 60% than in previous years. But as this previous rare occurrence in employment gives way to being more common (chances are you either know someone personally or have heard of someone who has taught overseas) an even newer trend is beginning to occur. While teaching overseas, many of these teachers were still thinking to the future and their eventual return to the United States. Even in a competitive job environment, certain factors will always be an essential component of being a successful candidate, one of which is education. While working as ESL teachers more and more E2 visa holders are pursuing graduate level certification abroad. Many institutions in Japan, Europe and South Korea have programs in place which allow for teachers who are working in their country to apply for spots in their respective programs. These programs often accommodate a wide variety of schedules with courses offered both in the morning and evening. With a few courses a semester, that two years abroad has the potential to not only give you valuable skills that will be transferable to many workplaces back home, but also the chance at receiving your master’s degree (often at a much cheaper price than institutions back home). Below is a list of countries that employ the highest amount of ESL teachers and the graduate level programs which they offer. Arguably the most popular (and highest paying) of all the countries who utilize ESL teachers, South Korea has a myriad of Universities and colleges that not only offer graduate courses to foreigners, they readily encourage foreign applicants. Seoul National University: Perhaps one of the most esteemed institutions in Korea, and ranking 4th from US News and World Report for universities in Asia, Seoul National offers the most variety in terms of courses and degrees offered. While the application and entrance for Korean nationals is quite competitive, the process for expats is slightly more relaxed. Individuals heralding from the United States have a slew of scholarship options that the Korean Government has made available. Spots at Seoul National are still very competitive and fill up quickly, so being proactive about enrollment is usually a good thing. To get the ball rolling while you are still in the US, head on over to their admissions page and inquire with the email address that is listed there. Korea University: Located in the heart of Seoul, this university offers a robust selection of graduate degrees from courses offered in international studies to bio-medical science. The KU campus sprawls some 182 acres and boasts an eclectic mix of nearly 10,000 graduate students from all parts of the world. Filling out an application is relatively easy and can be done both overseas and in the individual’s home country. The form, located on their website can be submitted via the internet, fax or mailed. Prospective students of KU simply need to indicate which area of study they are interested in and ensure that they have a letter of recommendation from a professor in their undergraduate program back home, a copy of their transcripts and although a cover letter/letter of interest isn’t required, it’s generally a good idea. Charles University in Prague: A popular destination for ESL teachers in Europe is Prague. Known for its beautiful architecture and abundance of teaching opportunities, prospective ESL teachers who wish to attain a job in Prague must first pass a TEFL course as set out by their government. Once certification is obtained, a wide variety of jobs open up both at the adult and adolescent level. Charles University offers graduate degrees in the areas of chemistry, geography, geology and environmental protection. Depending on your program of choice, up to three years may need to be devoted to the degree, but with the abundance of history and architecture that Europe has to offer, it’s sure to be some of the best years of your life. Prospective candidates of CU need to make sure that they have cleared all the necessary legal hurdles before applying to the program. These include proper visa documentation, notarized school documents such as transcripts, letters of recommendation and proof of undergraduate work will all be necessary too. The application process can be started via their website but will need to be mailed in once completed. Sophia University: Sophia University, located in the Chiyoda-ku district of Tokyo, is the perfect University for the English minded graduate course seeking expat. Offering one of the few programs in linguistics, Sophia University, students will also have the option of pursuing a Ph.D after completion of their graduate work.Tuition prices can be steep though, with about $15,000 for the first year and $13,000 for each subsequent year, most students will want to explore scholarship options in order to offset fees and the relatively high cost of living in Japan. Luckily, there are plenty of scholarships available, to see which ones you might qualify for, take a look here. After obtaining degrees in English Literature and English Secondary Education,Sean Lords packed up his bags and left to Seoul, South Korea where he lived for three years teaching English abroad. Sean has since returned to the States and is currently at work on his Master’s degree. SEDA, an English language school based in Dublin, Ireland, has started its own internship programme as an additional service to its students. The programme, which was launched in November last year, allows international students to get work experience in Irish companies within various sectors of the economy – from information technology to the hotel industry. Some 40 learners have signed up to take part in the programme so far, with the majority of them already working. Already 27 students have been placed with Irish IT, logistics, distribution, marketing, hospitality and catering companies. 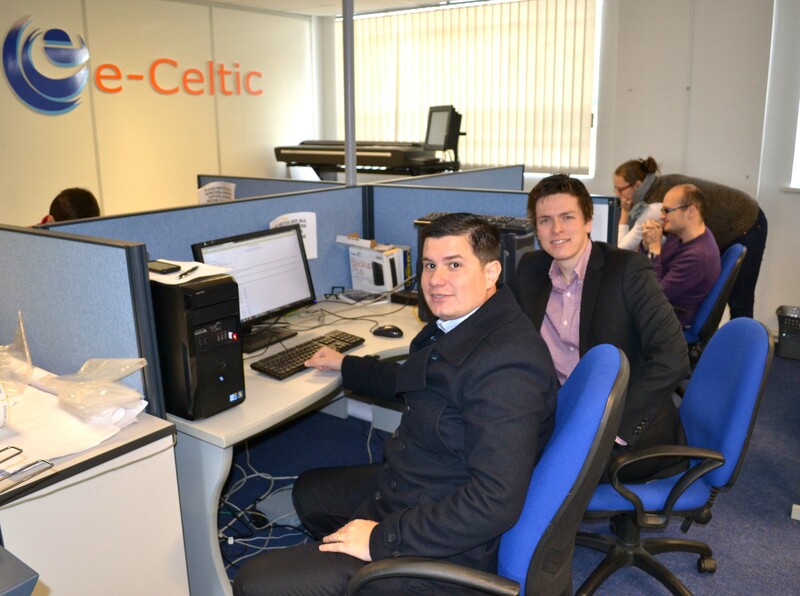 E-Celtic employs about 10 people in its Dublin office. It also has a development centre in India and a sales operation in London. The company’s main business is in search engine optimisation, digital marketing and application development. Its director Brian Martin said E-Celtic regularly took on interns: “We’re a rapidly growing company so we always need people to come on board. Internships are good because they give people a training period and then they can get a full-time role with the company. We’ve had a couple of people like that just recently. They started out as interns for a few months, but we were very impressed with them and offered them full time positions”. He added that since joining E-Celtic Andre’s English improved as he got more confidence: “I think it’s the main thing about learning any language: you need to be confident to speak it. Andre is working in a real environment and none of us here speak Portuguese, so he has no choice but to speak English”. Another student, Elicio Pereira, was able to get an internship in the Dublin offices of global logistics company Kuehne + Nagel and said the placement was “like a dream come true”. Work placements through SEDA’s internship programme are unpaid and generally last for 4 to 6 weeks. Students can apply for opportunities in IT, business administration, marketing, advertising, customer service and catering, tourism, architecture and others. Most positions are for learners with intermediate or higher levels of English, though some opportunities are also available for beginners. 100 per cent commission, a few extras and no questions asked! As The PIE News reported at the end of last year, Apple Language Courses Abroad went bust, owing a million euro of unpaid debts to language course providers. Was this a shock? Does it matter to the international education industry? The quick answers are: NO and YES. As an agent with 20 years experience in the industry, I have always been wary of rumours and false alarms but I knew this was more serious because of the reaction of the language centres. There was a definite lack of money in the system and standards were falling, cost cutting was ubiquitous. Accounts departments were nervous. They were defensive when you asked them simple questions about transparency and investment dropped. Then, speaking to other agents and directors of language centres, the truth came out. Although Apple Languages was a “trusted partner agency of IALC”, they had serious financial problems and they owed a substantial amount to their friends. The exact amount varied but a reasonable amount has been reported now as 1 million Euro (+/-). The next story was that no-one in their right mind wanted to buy the business but an agency was prepared to save the business for the “sake of the industry” yet was very careful to highlight they had no responsibility to pay the one million Euro debts. There was a meaningless mention of “moral obligation” to pay but these are words not actions. It is only worth the paper (or email) it’s written on. So what are the implications for the rest of us solvent companies in international education who pay invoices and send clients to these language centres? Our education partners, by not recouping the debts, are essentially giving Apple Languages a 100% commission on courses as well as giving free accommodation and superb terms and conditions, unheard of in any other industry. As we say in English it’s not cricket or fair play. Is it fair to give such favourable terms to an agency that has already benefited from naïve and poor judgement? C) investment will suffer through lack of funds and concerns about this happening in the future with other agencies. Result: the end product will deteriorate. Ultimately, Trust and Transparency will suffer because the market has not been allowed to take its proper course. Some players will believe that they control the market and believe (or delude themselves) that they will get their money back. Unfortunately, this is an international market and competition is rife on the Internet, some companies, in the end will hav e to pay for these generous 100% commissions. All opinions are the views of the attributed author.